Every Episode of MX World Right Here—The guys and girls over at Red Bull Media House do some exceptional work and this year has devoted time to documenting the MXGP series in the short films, MX World. This is, of course, told from Red Bull’s perspective, meaning only KTM riders are really featured in the films. 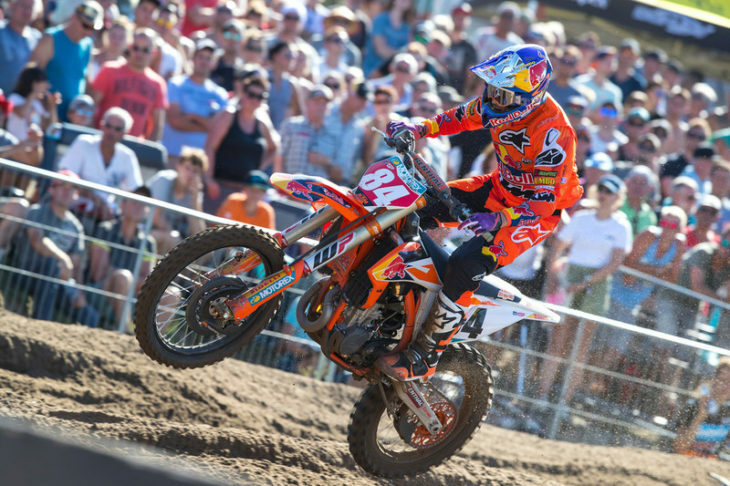 That’s still not a bad thing because the series gives you an insight into the legend that is nine-time World Champion Antonio Cairoli, the rivalry between MX2 title protagonists Jorge Prado and Pauls Jonas and of course an in-depth look at the new king of MXGP, Dutchman Jeffery Herlings. There’s also an episode donated the rise of the MXGP series outside of Europe. The series finishes with a look at the 2018 Motocross of Nations, held at here in the U.S. at Red Bud, where Team France went on to take its fifth straight Chamberlain Trophy. The cinematography featured in the MX World series is first class, with all six episodes amounting to well over an hour of viewing time.